Sorry... the 2016 Honda CR-Z is no longer being sold as new. The 2016 Honda CR-Z hybrid is a sporty two-door coupe, making it somewhat unique among hybrids. 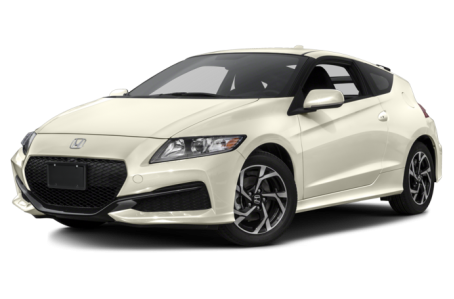 The 2016 Honda CR-Z gets revised exterior and interior styling and a new top-line EX-L trim level that includes a navigation system. Push-button start, a 7-inch audio display screen, Honda's Smart Entry system, an electronic parking brake and a front center armrest are now standard. Honda's LaneWatch camera system and heated leather seats are available, along with some new Honda accessories.